2-player co-op title, Side Arms, can now be bought individually! Continuing through the newly released Capcom Arcade Cabinet bundles, we have returned once again to the year 1985 for another dose of retro gaming. 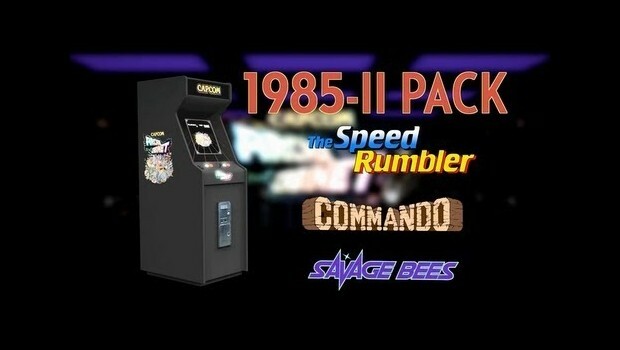 Since the first “1985” pack didn’t seem to be enough, the “1985-II Pack” will add Commando, The Speed Rumbler, and Savage Bees to our library of classic Capcom titles. If anyone hasn't experienced any of them before in their lifetime, try out their demos before making any investment. These three games, as well as a tiny package of six new achievements totaling to 30G, is now purchasable for 800 MSP or the PSN equivalent of $10. But if gamers don’t want to buy all three games at once, they can grab any of these games individually on April 16th (downloading a bundle will allow for a free download of the individual purchases later on, so don’t go purchasing the game twice!). Downloading the “Capcom Arcade Cabinet” application is required to play the demos and, ultimately, to buy the games. 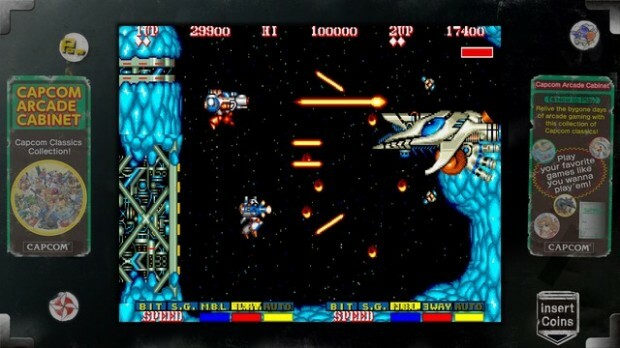 Also, the three games released on March 19th for the “1986 Pack” are now available for individual purchase, more specifically the Life Force-ish, two-player co-op title, Side Arms. Along with Legendary Wings and Trojan, each one can be bought for only 320 MSP. Still, if players can wait even longer until May 21st, all 17 of these retro games can be bought for 2000 MSP. The choice is yours! Please refer back to our previous article to get the entire release schedule for the Capcom Arcade Cabinet series. Page created in 0.5768 seconds.